Hobart & William Smith Colleges students exploring China, Hong Kong, Japan, South Korea, Taiwan and Vietnam. Supported by the Freeman Foundation and Tanaka Memorial Foundation. I call my itouch—specifically the Pleco App—最好的朋友 (best friend.) My Taiwanese friends think this is funny, but truly I don’t know what I would do with out this dictionary app where I can look up and translations in English, Chinese characters, or even using Pinyin, a phonetic guide to Chinese (and I can use traditional characters, the writing system used in Taiwan, instead of simplified which is used on the Mainland.) It’s useful in language exchange, almost all the homework I do, chatting with Taiwanese friends, or when I am alone and a word pops into my head I’d like to look up. It can sometimes be difficult to get correct translations from English to Chinese on certain apps or sites but Pleco, while it occasionally steers me wrong, usually gives me the most colloquial words, including noting which word are more appropriate in Taiwan, instead of Mainland China. I’ve actually been somewhat of a walking advertisement for the app as most of my friends, unless they already had the app, quickly added it upon seeing just how essential, not merely useful, it can be. Thank you Pleco! You’ve saved many a conversation. The one application that I know I could not live with out at this point is MIDORI. Midori is a Japanese-English library application. It costs $9.99. Why should you buy this particular $10 application you ask? It is the best out there so far that I have tried out. Not only does this application let you search for a word in English and Japanese (hiragana, kanji, and romaji) this application allows you to draw the kanji in order to find out its meaning!!! I literally can’t even begin to describe how 便利 (convenient) and life saving this application is! It has saved me countless times when I was talking with my host family and friends or simply trying to order something at a restaurant. (It’s all in kanji I can’t read!) It is a MUST for every student studying Japanese. Seriously. And on top of all of this it also gives you the stroke order of the kanji, flash cards to test your kanji with AND the conjugation of verbs. As a student of Japanese conjugation is one part of the grammar that I have a lot of trouble with so it was very reassuring to know that I could just go on my i-pod real quick to check that I conjugated the verb correctly. I can’t even begin to describe how excited I was to find out that there was even such an app that existed! I did none of my homework without it and had my i-pod on me at all times. Another really cool aspect of this app is that it also provides example sentences in which the word you are searching for appears. And last but not least it: this app requires no internet connection! I know your minds are absolutely blown right?! Don’t worry I understand. Mine was too. For anyone going abroad to Japan next year: Before buying a suitcase, before getting a plane ticket, BUY THIS APP!!! I could go on and on about how awesome this app is, but please, rather than listening to me babble, go get it! Before coming to Vietnam I tried to find videos on youtube that could help me say basic phrases. At first it took me an hour just to say simple things like, “thank you, no problem, your welcome, and where is the bathroom”. However, once I came to Vietnam I realized that there are at least three different Vietnamese dialects, the northern, southern, and central accents. I was watching a youtuber named “Learn Vietnamese” and she does a great job in pronouncing words, slowly. She teaches her subscribers the Northern dialect which is considered “the original” accent and it was also the dialect that I learned in class. An app that I found useful was “Vietnamese dictionary box- Tu Dien“. This particular application is great because it has pictures and clear definitions. In addition, Vietnamese is a tonal language that has 6 different tones that are extremely hard to type in your ipod. There are many words that are spelled the same but have different accents that change the definition. For example, ban can mean friend, table, busy, or dirty depending on your pronunciation. This app does a good job incorporating the different tones without confusing the reader. Once, this app helped me communicate with a lady across the street my guesthouse and I managed to have a decent conversation about her kids and husband. TAylor I have enjoyed reading your posts. This particular entry is beautiful. It made me smile. Judy. What’s your favorite iTouch App, and how did it help you this semester? One of the primary goals of the Asiapod initiative is to explore the usefulness (or not!) of mobile technologies to facilitate language learning while students are on the move. Asiapod bloggers: your challenge this week is to share one application or “app” that you have found particularly helpful in the five months(can you believe it?) that you’ve carried the iTouch. A particular dictionary? Virtual flashcards? Videos via Youtube? The summer period is specifically included, as we are equally interested in stories of travel preparations as navigations of your new environs. Imagine your potential readership as students planning to follow in your footsteps next semester; a few sentences summarizing the app’s functionality and value will do the trick. Has the iTouch been irrelevant? If so, any particular reason? These stories are important as well. When I entered the Asiapod program, I was given an iPod touch which I could use to send my blog entries and take photos with. I named this new device, “Temptation.” One of my interests is how technology affects our lives and what we gain but also what we lose when we adopt new technologies. I know many Americans who have the latest technological “toys” which helps them stay connected to many people but they often miss out on face to face conversations and more meaningful relationships when they are busy cultivating their “Facebook friends.” I try to be conscious of my use of technology and the experiences I may be missing while I am playing a game on my iPod instead of looking out the window at the Vietnamese landscape. I have used my new iPod to record an internship event that I had to use for a project, to listen to music, for maps to give taxi drivers directions, alarms, notes of things to do, weather and record my workouts but I do not use it in ways which inhibit m experiences in Vietnam but to enhance them. The iPod I had before I only used for music. I don’t find myself texting at dinners or playing games instead of being immersed in Vietnam. I don’t use it to take pictures unless I forget my camera and I don’t use it to write blogs or to get on the internet at all. I am on my computer enough, I don’t need to be connected to the internet every second of the day. I am beginning to worry what the Vietnamese are losing on their new quest to acquire wealth. I notice that my roommate spends more time on her computer and her cell phone than I ever do, or have done, even when I was at home in the states. I never see her studying or doing work, which greatly surprises me as I always have a list of the things that I need to accomplish during the day. With the rapid change from poverty to modernity, the Vietnamese have had to adapt quickly to new technologies. 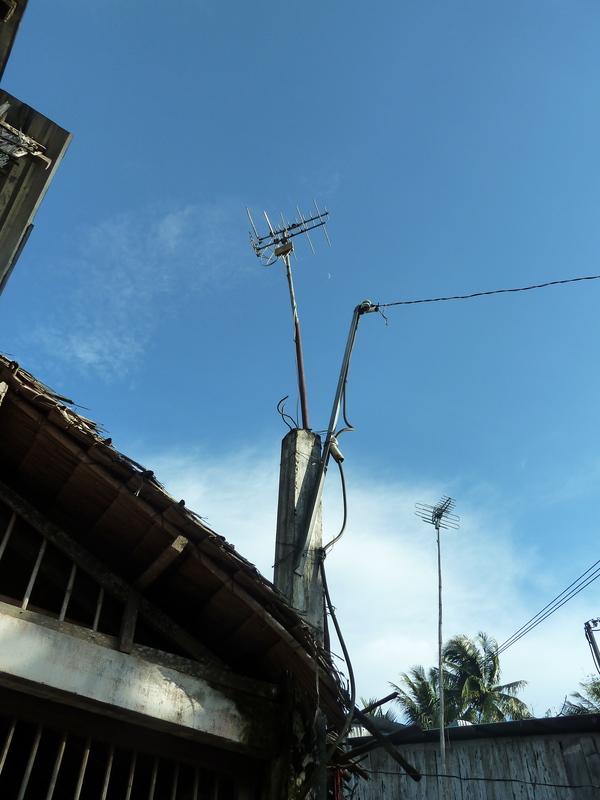 When we traveled to the Mekong Delta, I was very surprised to see that the people had very long antennas so that they could have TV. As we went on a bike ride through the area, passing each house on our tour, we had different theme music as it screamed out of the televisions in their homes and out into the humid air of the Mekong. These TVs, sound cranked up, bellowed that these people are experiencing wealth and abundance as they never have before and they want their neighbors to know. Their displays of wealth are very public, often the flat screens and sound systems in the cities are situated right in front of their open doors so that everyone can see that their family is prosperous and thriving. The young people have become addicted to their devices which are attached to their palms, reflecting the Americans I left at home. We have become their example of prosperity and wealth. They want to be like us with our cars and technology because they want to get ahead. My Vietnamese roommate here in Hanoi, gets text messages and phone calls late into the night, I never see her without her cell phone. We went to dinner the other day and throughout the meal she was on her phone. When we left we were walking down the four flights of stairs to exit the building, she fell down the stairs trying to walk and text at the same time. Her message was more important than her safety, her answer had to be instant and she could not wait even a few minutes to send the message. She was not hurt, laughed it off and continued to text as we walked, often crossing busy streets, to our building. 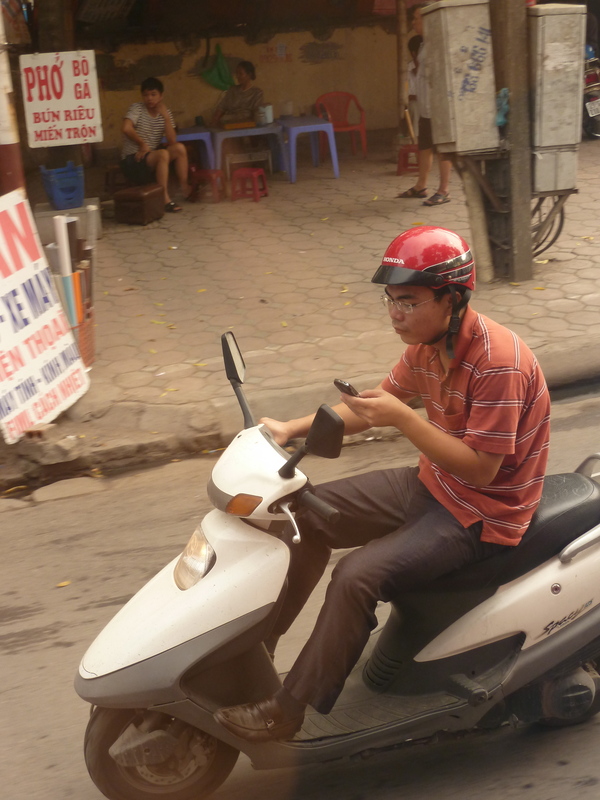 I see countless men and women every day on their motorbikes and calling and texting at the same time. Urbanization has caused a rise of people moving to the cities and the roads are often over crowded. The effect of the newer law that people must wear helmets on motorbikes has made people wear helmets but they are inexpensive and do little for protection. I have seen many accidents while I have been here and my Vietnamese buddy in Ho Chi Minh City’s aunt was a fatal one. These incidents are not uncommon but there are not any laws prohibiting the use of cell phones while riding motorbikes. This is a posting from Hannah, please do leave her comments but note that she may not be able to read them for a while. 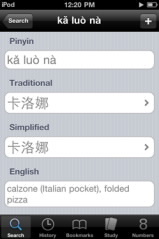 Dictionary apps in China are the best. Going from having approximately 3-5 hours of Chinese class a week taught in English, to having approximately 25 hours of Chinese class a week all taught in Chinese, in China, can be mildly daunting. The DianHua app is a Chinese-English dictionary app that has been irreplaceable all the times that I’ve been in class and the professor uses a word I don’t know-I can type in what the word sounds like. Or if I’m reading my textbook, or I’m out on the street, I can draw a character that I don’t recognize and look up the meaning that way. And the third way to look things up is of course to type in the English and get the translation. This is especially useful when trying to buy something unlabeled that you are unable to point to. -DianHua. My host mother for my temporary homestay taught me how to make dumplings. She told me the ones I made looked like calzones. 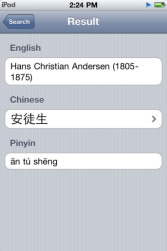 In addition to the DianHua app, I also use KTdict C-E, which is another Chinese dictionary app. If a phrase isn’t in DianHua, I am sometimes able to find it using KTdict. The reason I prefer DianHua, even though it lacks a few less-used words, is because the interface is a lot more clean, a lot more calming. -“…it has the words “DON’T PANIC” in large, friendly letters on the cover.”- Hitchhiker’s Guide to the Galaxy, talking about Hitchhiker’s Guide to the Galaxy. Remembering this is very helpful when certain things happen, like when looking at a menu for a street vendor and realizing you have no idea what anything is (I never learned how to say ‘Chicken Skin’ in any of my previous Chinese classes. Or kidneys. Or gizzards. Seems like such an oversight now). So basically what I’m saying is that I love these apps, especially when remembering the days I had to look up characters in a paper dictionary. And remember, in Chinese there is no ‘sounding out’ words- if you don’t know a character, and you have to look it up in a paper dictionary, you have to look it up by radical. As in an individual component, or line, or dot. Not nearly as fun. And with that happy thought, I leave you to consider the wonders of the electronic dictionary in China. 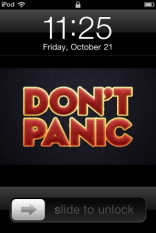 I totally forgot about Don’t Panic! Great words to live by. Yesterday, alone in very scary woods in a thunderstorm, I should have remember them. I almost panicked! And I sure as heck wish I had my towel! 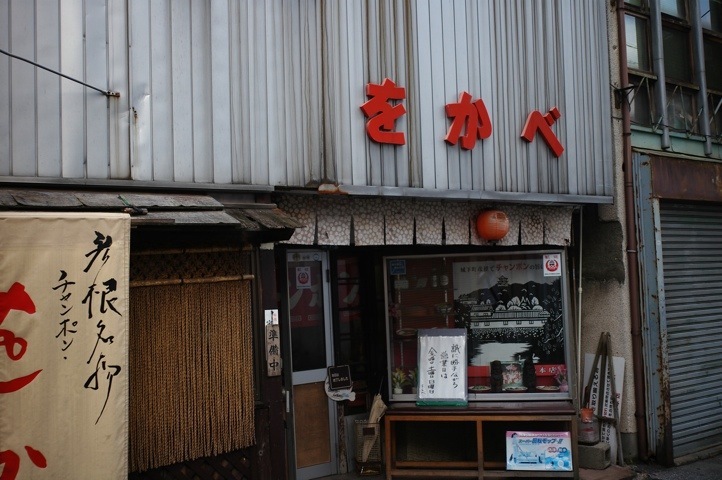 A wonderful wabi sabi scene down a Hikone back street. More Hikone wandering images here. I notice that when I travel to countries where I do not speak the language, I tend to get by with a short list of phrases. These phrases seem to be relatively consistent, no matter my destination. A few days of juggling iPod Japanese apps and I reverted to a single page in my little red Japan journal. Here is what is on it, about 13 or so phrases that not only get me through the day, but also allow me to slowly build vocabulary. Arigato gozaimas(u)/gozaimashta! Thank you! With the “u” there for added respect and the second variation for something that has reached a conclusion, like my attempt to buy one of those cool kickstands that all the bicycles here have. The bike guy told me it wouldn’t work on a mountain bike. Sorry. Arigato gozaimashta! Oishii! Delicious! Oishii des. It is delicious. “It is” is a key construct in any language. Lots of uses. Ii des ne! It is good. Sumimasen! Excuse me. Essential, especially for people trying to get by on 13 phrases and who is otherwise clueless. Hajimemashta! Hey, how’s it going? Nice to meet you. People seem to like this one. Doitashmashte! You are welcome. The ! I am using at the end signifies the elongation of the last sound a bit, as if for emphasis. _______ onegai shimas! I would like ______, please. This is the phrase that allows one to eat, among other things. Neehongo de nangdeshka? What is it called in Japanese? This is the key to building vocab, and since my chances of getting any grammar are pretty much nil, vocab is the thing that transforms me from a babbling lunatic to a gaijin with serious developmental disabililties, but who is sure he wants nabiyaki udon nonetheless. Yes is hai! No is ee-eh or yeh. Eekura des ka? How much does it cost. To use this effectively, a pad of paper, calculator or even a calculated app is good, if the other person can use to a touch screen at least. Better yet, I try to learn the numbers. It is actually easy and fun in most languages, and sometimes when I pay I count out the money in Japanese as practice. I suppose that could be rude? I have no idea. Other than not blowing my nose in public, and the universal no-nos of not overthrowing elected leaders, attacking poor countries with cruise missiles and moving in large, loudly-speaking groups of americans, I am overall on very weak footing when it comes to smoothly interacting with the Japanese. For all I know I am leaving a trail of destruction behind me, oblivious to the pain and suffering I am inflicting on the stoic Japanese. Like a dumb Gojira (Godzilla). I did notice the other day this sparkly sensation on my arm and when I turned there were a bunch of tiny army tanks shooting at me. I yelled at them to stop and they melted. I stormed off to brush my teeth, ashamed of my thoughtlessness. Sumimasen! Itedakimas! I humbly take the food. A kind of pre pigout blessing. Gochisosamadeshta! Thanks for the yummy meal. Is that 13? I’m not sure. Close to it. Not enough to discuss strange lineage of Hegel, Marx and Ho Chi Mihn, but enough to get me into some enjoyable trouble. Like the godzilla of the sequels (where he went from radioactive Japan hater/eater to slightly clumsy but good hearted defender of the rising sun- though still rather radioactive). I might occasionally step on a small village. But when those two tiny women sing that ethereal song and mothra comes along and starts building a cacoon on your favorite tv tower right before the season opener of glee, people will chanting my name for me to stumble back over their flower beds. Long as I can vanquish the rude ones who mean it. Doitashmashte! You are welcome.